As if suffering from an acne flare up was not traumatizing enough, now you have to deal with acne scars too? Dealing with aftermath of an acne flare up can be just even trickier than dealing with the acne itself. Scars left behind from acne are stubborn and take time and effort to disappear. Fortunately, you can help fade your acne scars with a wide variety of natural ingredients. These home remedies work as natural bleaching agents, fading your scar with consistent and continual use. Listed below are some of the most effective ways you can fade your acne scars and prevent further damage from occurring on the delicate skin of your face. Ice is the fastest way to calm down the redness and swelling of acne. While these frozen cubes are working as a natural inflammatory, they also help reduce the risk of scarring by tightening your pores. Those suffering from painful acne will find that ice temporarily numbs the pain of deep-rooted blemishes. To use ice as a remedy, wrap an ice cube in a cotton cloth and apply to the affected area. Hold for 10 to 15 minutes everyday until you see a reduction in inflammation. Over time, you should see a smoother texture of skin. Rich in vitamin A and carotenes, the antioxidant compounds of tomatoes help reduce the appearance of scars, help heal damaged tissue, and stimulates the regrowth of skin cells. To use tomato to heal your skin, take a red ripe tomato and cut into slices. Crush the slices until it turns to pulp and apply the tomato pulp to the affected area. Let the pulp sit for 20 minutes and then rinse off with warm water. Apply this remedy twice a week every week. Try cucumber if you want to reduce inflammation and puffiness while reducing the appearance of your acne scars. Cucumber is a natural astringent, helping to open up the pores and draw out impurities. Packed with magnesium and vitamins A and C, cucumber slices will hydrate your skin while improving its overall texture. Simply apply cucumber slices to the affected area and let sit for 30 minutes. Rinse with cool water. Repeat daily. With due diligence, raw potato is an effective way to removing your acne scars. The antioxidant qualities of this remedy not only kill the acne present on your face, but it also dissolves dead skin cells, clears pores, and fading the appearance of residual acne scars. To use raw potato in your skincare routine, take a potato and cut into round slices. Take a slice and gently rub over the affected area in a circular motion. Continue to rub the potato slice on your skin until the potato has gone dry. Practice this last step for 15 to 20 minutes and then let the juice absorb into the skin. Once the juice has sufficiently absorbed into your skin, wash off your face. Apply this remedy 4 times a week for at least 2 months for best results. Packed with protein, egg whites are an easy and effective way to treat acne scars by speeding up the healing process of your skin. 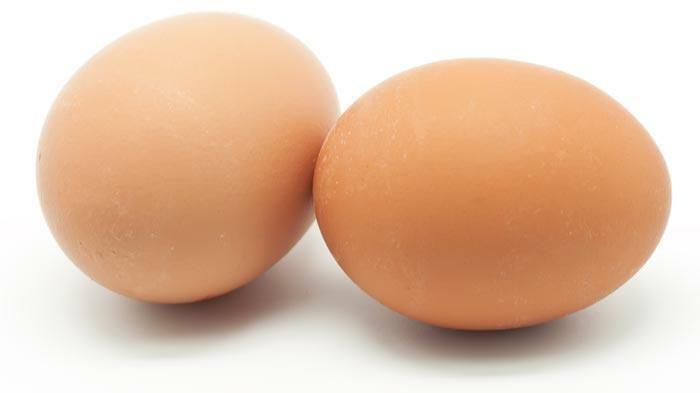 To experience the healing benefits of egg whites, simply apply the egg white to the affected area using a cotton ball. For the best results, leave on overnight and wash off in the morning. Honey is not only a natural moisturizer, but it also works as an effective antiseptic with a powerful ability to fade acne scars. When choosing your honey, make sure to purchase a raw 100% organic honey. Manuka is recommended as it has powerful anti-bacterial properties and proven wound healing properties. Once you have found your honey, simply rub a bit over the affected area and leave on overnight. Wash off in the morning. Apply this treatment 2-3 times every week. Aloe Vera is probably the nicest thing you can do for your skin. This healing and moisturizing plant not only soothes irritated skin, but it also helps to regenerate new skin cells as well. To experience the benefits of aloe vera, take an aloe leaf and peel its outer green cover. Once you peel off this cover, you will uncover the gel. Apply this gel to the affected area and leave on for 30 minutes. If you do not have access to an aloe vera plant, aloe vera gel works just as well. With consistent use of this remedy, you will not only discover a more radiant complexion, but the fading of your acne scars as well. This superstar vinegar contains natural astringent and disinfecting properties that work as an antiseptic and antibacterial on the skin helping to heal and prevent the development of acne. The anti-inflammatory properties of apple cider vinegar reduce swelling while the antioxidant properties and amino acids promote healing. Meanwhile, the natural exfoliating properties of this vinegar slough off the dead top layer of skin, revealing healthy, scar-free skin. Simply mix equal parts apple cider vinegar and water and dip a cotton ball into the mixture. Apply directly to your acne scars and let sit for 10 minutes. Apply this treatment once daily. Packed with vitamins A, B1, B2 C, D, and E, as well as iron and antioxidants, this healing oil will make acne scars a thing of the past. 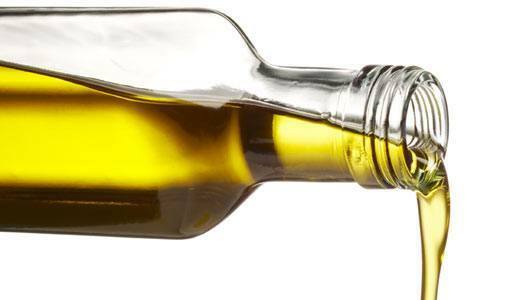 The anti-inflammatory properties of olive oil help to reduce swelling while promoting healing. Take a bit of olive oil and gently massage it into your skin using a circular motion. Once the oil has absorbed into your skin and let sit for 15 minutes. Take a clean cloth and soak with warm water, ringing out the excess moisture. Apply the damp cloth to your face and wipe away the excess oil for 1 to 2 minutes. Practice this treatment twice a week every week. This natural bleaching agent is one of the more efficient way to make your acne scars vanish. Lemon juice works by lightening the brown marks left behind your face, eventually making them disappear over time. Dip a cotton ball in lemon juice and apply directly to your scars. Let your skin absorb the lemon juice and then rinse off with warm water. Apply the lemon juice daily. Using turmeric mixed with Lemon Juice in a mask can give you even better results. 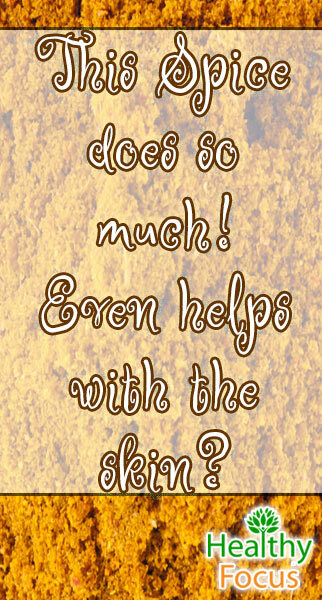 Turmeric is an anti-inflammatory and is rich in antioxidants. This will help minimize redness and nourish your skin. Note that turmeric can stain your skin temporarily; mixing it with lemon and adding in a small amount of flour can minimize staining. Fenugreek naturally soothes the inflammation associated with acne scars. This antiseptic also helps to heal the skin while preventing the threat of further breakouts. To use fenugreek to eliminate your acne scars, boil a few seeds of fenugreek in a pot of water for about 15 minutes. Allow to cool and strain the seeds from the water. Dip a cotton ball into the water and apply directly to your acne scars. Let sit for 15 minutes and rinse off with cool water. Apply this treatment daily for a couple weeks. Due to its exfoliating effects, baking soda is a popular and effective home remedy when treating acne scars. The coarse granules of this powder slough off dead skin cells, revealing newer, healthy skin. Despite removing the dead top layer of your skin, this treatment is gently enough not to cause inflammation or further scaring. Mix a 2 teaspoons of baking soda with a couple teaspoon of water and mix into a paste. Gently massage the paste onto your scars and let sit for 2 minutes. Wash off and then moisturize. Tea tree oil is effective in treating both acne and acne scars. Those suffering from raised acne scars will find an ally in tea tree oil. The anti-inflammatory effects reduce swelling while promoting healing. To treat your acne and acne scars with tea tree oil, dilute 3 or 4 drops of tea tree oil with water and dip a cotton ball into the mixture. Apply the oil directly onto the affected area. Apply this treatment daily until you notice your acne and scarring start to diminish. Coconut oil is a natural moisturizer and healer, perfect for skin in distress. The fatty acids and vitamins rich in this oil will diminish your scars while improving the overall health of your skin. Simply take a quarter of a teaspoon of virgin coconut oil and let it melt in your palm. Apply the melted oil to your acne scars and let soak. You can leave this oil on, as it works best overtime. However, if you do not feel comfortable leaving this oil on your face, let sit for at least 30 minutes before rinsing off. Studies have shown acne suffers are often deficient in Vitamin A and Zinc. There is also some evidence suggesting Vitamin E may play a role. Making sure you get enough A,E and Zinc but don’t overdo it especially with zinc. Too much zinc can cause copper deficiencies and anemia. None of these remedies are overnight fixes. Do not believe anything you hear otherwise. You will need to be patient and consistent in your routine in order to see progress. Scars take time to heal as you are rebuilding the skin. 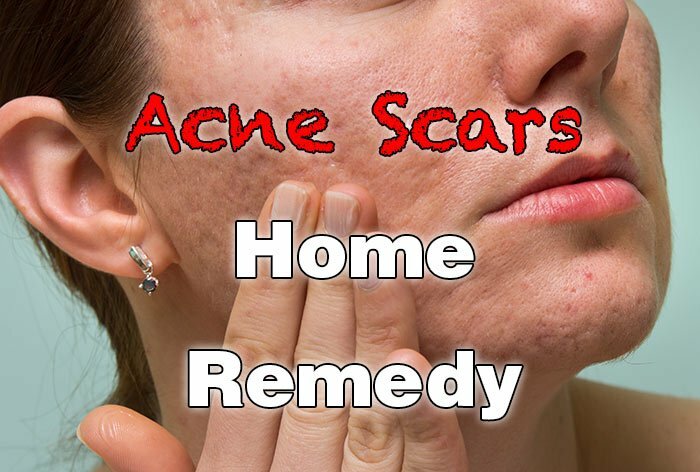 It could be months or even 2 years to heal old acne scars. Using a good diet and these remedies you should see progress within a month—which will hopefully reinforce your will power to commit to a routine.